We strive to offer our employees a professional, challenging, dynamic and rewarding work environment that promotes and encourages professional as well as personal growth and achievement. Whether you are an experienced professional or just embarking on your career, we offers you the opportunity to work with and learn from a diverse group of bright and innovative individuals focused on ensuring our clients' success. An unparalleled professional development framework and a healthy culture in which a team member can advance his or her career is guaranteed. We welcome resumes from top candidates interested in working in a highly dynamic and energetic environment. Commitment to customer satisfaction is an absolute requirement. We offer comprehensive benefits, attractive compensation plans and an enabling culture. We are an equal opportunity employer. We take pride in our ability to identify, train and retain our employees and offer a competitive compensation and benefits program based on eligibility, skills and experience. We offer cutting edge technology and our primary focus is to develop your career. Qualification: Require Minimum of Bachelor’s Degree in Computer Science or closely related Field. 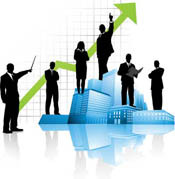 •	Understands data analysis concepts (data architecture, data profiling, data quality governance). •	Able to review and extract data mapping. •	Demonstrates strong understanding of Project Management and SDLC processes. •	Experience using Microsoft Office products (Excel, Access, Visio, Project, PowerPoint). •	Responsible for eliciting, analyzing and documenting data provisioning and reporting needs on projects. •	Supports data gathering for the business case and cost benefit analysis documents. •	Supports small to medium sized projects with moderate complexity encompassing 2-3 business areas. 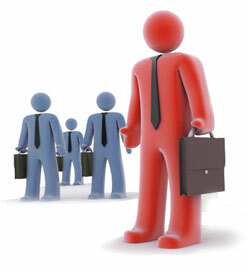 •	Acts as a liaison, facilitating and communicating data requirements among business and IT stakeholders. •	Analyzes business data domains and participates in recommendations of creative solutions; follows a logical process and helps prepare alternatives in a way that enables decision making. •	Analyzes the ETL code to extract data mapping details and upload to metadata management tool to establish data lineage traceability. •	Applies data analysis and presentation skills to interface with business and technology stakeholders to understand data provisioning and reporting needs. •	Collaborates with data modelers for effective governance of the data architecture per established guidelines. •	Engages in data profiling activities to identify any data quality issues. VST Consulting Inc. is seeking Senior Automation Software Engineer for Iselin, NJ to design, develop and execute comprehensive suites of automation test plans, test cases load testing, scenarios, scripts, and procedures for Software Development Life Cycle (SDLC) utilizing Selenium, Java, HP Quality Center and JIRA. Define test approach and strategies based on business requirements. May travel and relocate to various unanticipated sites throughout the US. Must have master’s in Comp. Sci., Engg, Busi. Admin, Info Sys, or rltd and 3 yrs of exp; or Bachelor’s degree in the above mentioned and 5 yrs of exp. Please send resume and cover letter indicating position ID to resumes@vstconsulting.com. No Calls. EOE. If you wish to be a part of the VST Consulting team, please forward your resume to: resumes@vstconsulting.com. If there are opportunities that match your skills and experience, we will contact you. Send your updated resume to resumes@vstconsulting.com , Our HR will contact you.